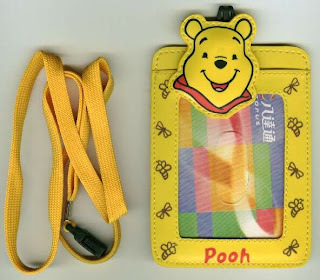 Evidently less Pooh fans than we suspected need to wear a photo ID card! Pilots' unions have been lobbying to skip airport screening, which they call unnecessary and "demoralizing." 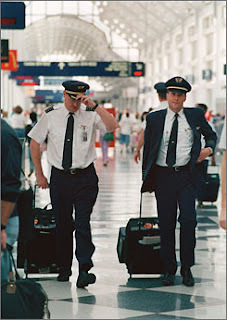 The Air Line Pilots Association notes that pilots face extensive background tests, and that pilots wanting to do harm with an airplane would hardly need a weapon because they control airplanes. We say: Why don't we just fix the screening systems for everyone's sake? Most folks who travel frequently can speak to the "demoralizing" part or broken systems, but any identification program is only as strong as the systems and enforcement. Indiana cracks nuns on the wrist and says "Pay attention when I speak"! About 12 Indiana nuns were turned away Tuesday from a polling place by a fellow sister because they didn't have state or federal identification bearing a photograph. -Ouch! We are all about valid ID, but we sure are happy we were not enforcing this rule. -Whoa! You really need to watch for those voters in the 80 to 100 year old bracket faking their way in as nuns. 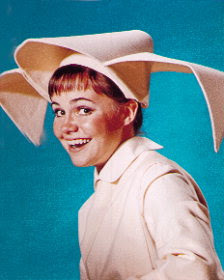 -Sally Fields is really the faker! This proves nuns really do not fly....on airplanes!